Organic farming fosters biodiversity. At least that’s the theory. In practice, however, the number of habitats on the land plays an important role alongside the type and intensity of farming practices. These are the findings of an international study that looked at 10 regions in Europe and two in Africa. The results has been published in Nature Communications. The study shows that even organic farms have to actively support biodiversity by, for example, conserving different habitats on their holdings. An international team, including participants from Technische Universität München (TUM), investigated the contribution of organic farming to supporting farmland biodiversity between 2010 and 2013. Researchers wanted to explore whether organic farms are home to more species than their conventional neighbors. The team used uniform methods across Europe to capture data and analyze it to establish the impact of farming methods and intensity and of landscape features on biodiversity. “Organic farming is beneficial to the richness of plant and bee species. 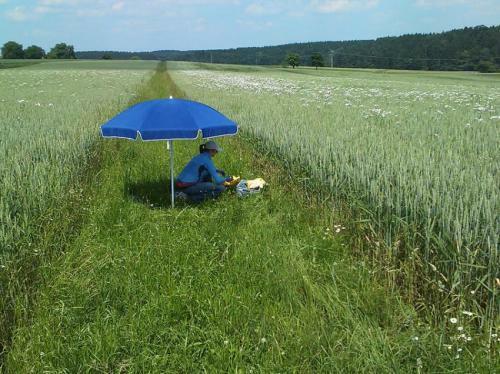 However, observed benefits concentrate on arable fields,” says TUM’s Prof. Kurt-Jürgen Hülsbergen. His Chair for Organic Agriculture and Agronomy analyzed 16 Bavarian dairy farms. Read the full story via Organic agriculture boosts biodiversity on farmlands.